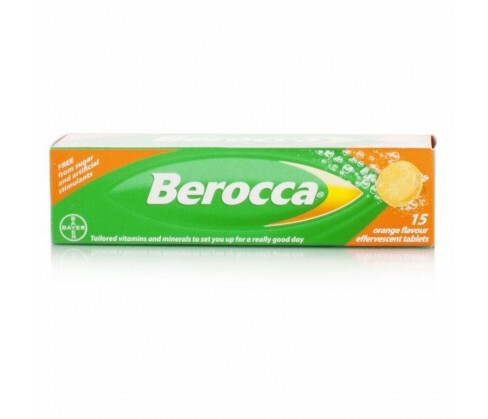 Berocca Effervescent Tablets 15's Orange Flavour is a dietary supplement that helps you stay energized, stress-free and on top right throughout the day. It contains multiple vitamins, minerals and antioxidants that supply you with energy and vigour. Do not exceed the standard dose. This product is a dietary supplement; do not use it to replace your main meals. Keep away from the reach of children. Do not take in case you are allergic to any of the ingredients. For optimum results, always take the formulation first thing in the morning with or without your breakfast. Dissolve one tablet in a glass of water till it disintegrates into a tasty, effervescent orange flavoured drink; ready for consumption. The formulation contains no artificial flavours and is free from gluten, yeast or lactose. It can safely be taken by children above twelve years of age, the elderly, adults, vegans and vegetarians. 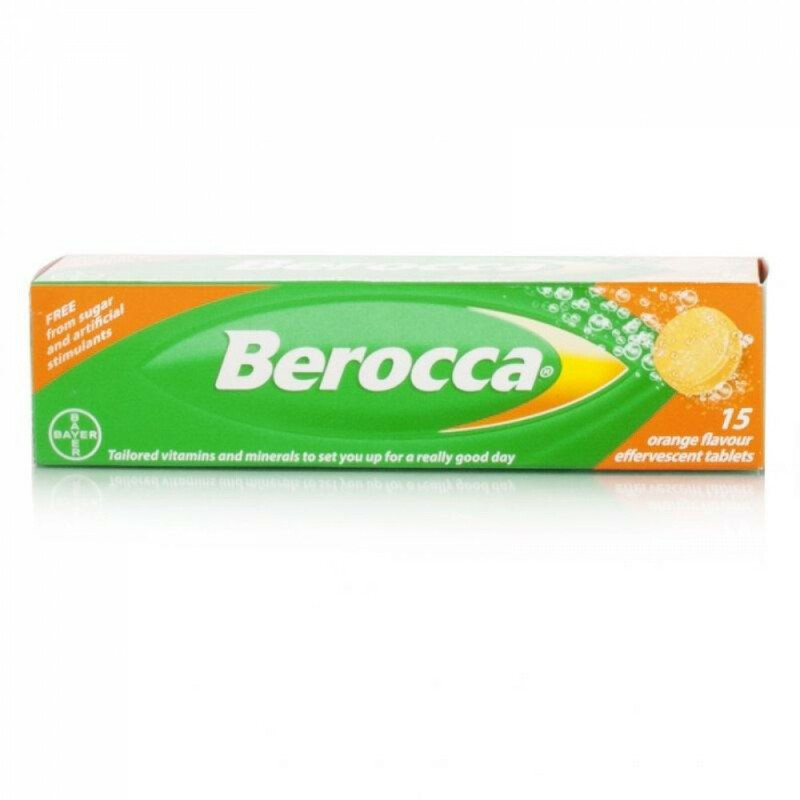 Berocca Effervescent Tablets 15's Orange Flavour contains Citric acid, Vitamin C, Sodium hydrogen carbonate, Niacin, Magnesium sulphate, Riboflavin, Mannitol, Thiamin, Calcium carbonate, Vitamin B6, Folic acid, Antioxidants (Alpha-tocopherol, sodium ascorbate), Magnesium carbonate, Pantothenic acid, Vitamin B12, Maltodextrin, Biotin, Anti-foaming agent (polysorbate 60), Salt, Flavourings, Sweeteners (Acesulfame K, Aspartame), Trisodium citrate, Acacia gum, Partially hydrogenated soybean oil, Sodium carbonate, Sugar, Zinc citrate and Colour (Beta carotene and Beetroot red).